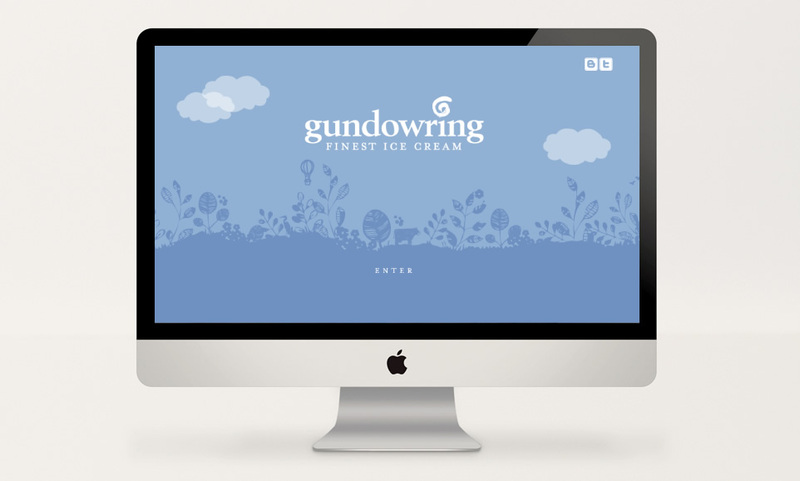 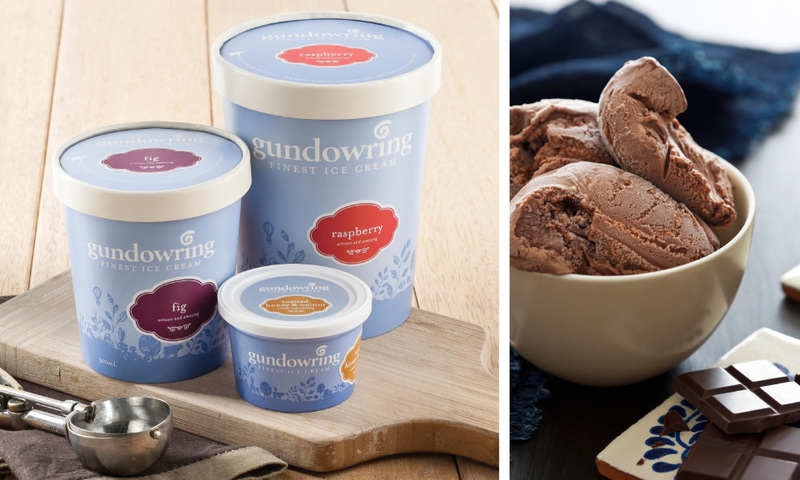 The logo was modernised and the Gundowring brand was completely overhauled to make them more friendly and approachable. 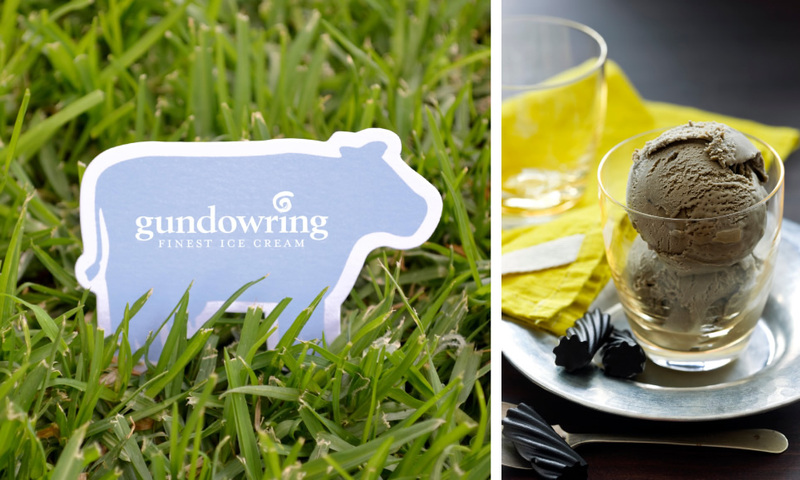 The packaging incorporates a freeze which features elements from their farm and the labels were made into cloud-like shapes to reinforce the fluffy and light texture of their ice cream. 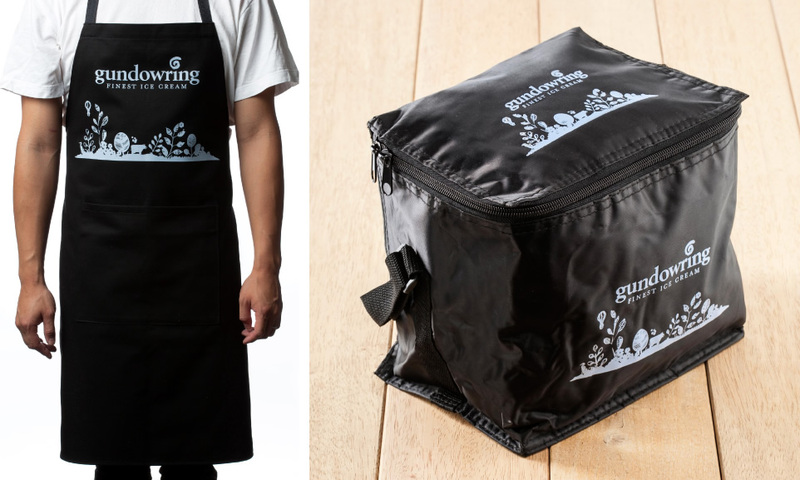 The new design reinforces the handcrafted and gourmet nature of the product.